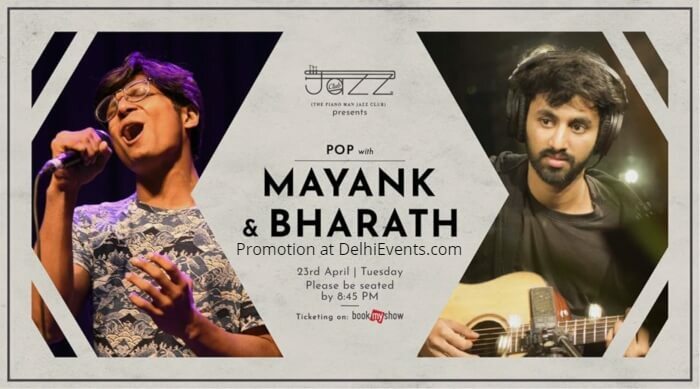 A Delhi-based singer, musician, writer, exploring different genres and forms of musical expression, Mayank a.k.a Eternal Ramblings croons about the mundane happenings of life in all their complicated heartbreaking glory. While Bharath Rajeevan is a multi-instrumentalist exploring genres of music and giving them a new dimension with his interpretations. Together, with their music this duo born out of blues/rock band KAPOW! gives the audience a perfect vibe to dance and sing along without a care in the world to songs you can’t forget and some of your favorites you have forgotten.